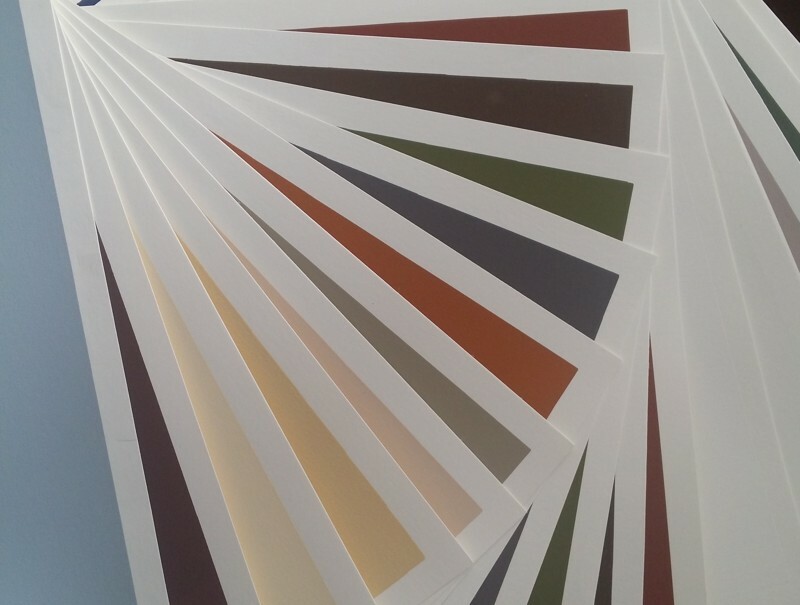 “Art Spectrum® Colourfix™ Smooth is a new addition to the Colourfix™ range of papers and pastels. Manufactured by screen printing Colourfix™ Smooth Primer onto European Archival 300gsm Hot Pressed watercolour paper making 340gsm pastel paper. In general I have always used Canson Mi-Tientes paper for my pastel work. I prefer to use the smooth side of the sheet rather that the rougher textured side. Many years back I tried the Art Spectrum Colourfix Original but I found the texture too rough for the way that I work and I wasn’t that happy with the results. Hence I went back to the Canson paper. I knew that Colourfix Smooth had been released and it was on my “things to try” list but somehow I never actually got around to trying it. You know how it is. Anyway, I have had opportunity to use the Colourfix Smooth and I though that I would give you my general impressions. I love the feel of the paper. It is of a good weight so it doesn’t feel flimsy. It comes in a great variety of colours (20 in all). It also comes in white and clear which you can use as it is or can be tinted to the desired colour. The surface itself is really nice to work on. It is not too toothy but it still holds multiple layers of pastel easily. Because of the tooth, I found that new layers of pastel adhere well and were not muddied by previous layers. The tooth is not so pronounced that it is hard to blend. To the contrary, I found that it was easy to blend either with my fingers (my preference) or a soft brush. It is versatile as it can be used with a variety of mediums, not just pastel. One thing that I immediately noticed and liked is how forgiving the surface is. It erases very cleanly and without damaging the paper surface. I was able to remove mistakes and take layers back to the original paper with no problems. Choice of surface is a very personal thing. For example, I did not like the texture of the Colourfix Original but I know other artists who absolutely love it. Art Spectrum also do a Supertooth version so there are artist out there who obviously really want a very rough, toothy texture. So my answer would be to give it a go and see how you like it. As artists we are individuals and our choice of mediums and surfaces reflect that. Oftentimes trying a different approach, medium or painting surface opens up new creative opportunities for us. As for me, I can say with absolute certainty that this is now going to be my paper of choice. I LOVE IT! After I used it I went back to the Canson just to compare it and it just did not feel right. Does anyone want to buy some Canson paper? No offence to meant to Canson as I’ve used their paper for many years. But the fact is that from my perspective Colourfix Smooth is a superior surface. Art Spectrum have made a fabulous product and I look forward to continuing to use it. My only regret is that I didn’t try the Colourfix Smooth earlier! It is worth noting that Art Spectrum have also recently released Colourfix Smooth Primer which can be applied to almost any surface. It comes in the same 20 colours as the papers. I haven’t tried it yet but I’m looking forward to doing so. The ability to apply a primer to any surface and also to be able to tint it to suit a particular painting is very appealing. When I finally get around to using it then I’ll post a review. If you want to know more then head over to the Art Spectrum website – http://www.artspectrum.com.au. There you will find product sheets, colour charts and other relevant information. By the way, if you are a pastel artist then I can highly recommend Art Spectrum Soft Pastels. I have been using them for years. They have a great colour range and are top quality. Finally – found someone who has posted a review on this paper. Thanks! 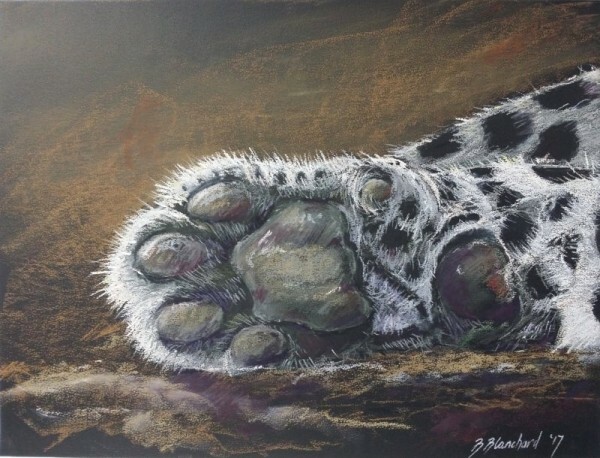 I am a complete newbie to pastels and still awaiting on some supplies, however I have been watching reviews on other papers and most all seem to recommend Pastelmat or Uart for detailed work and working in pastels. Both are pretty expensive here or you have to get overseas which seems that there isn’t enough stock at the moment for the size. Thanks for the feedback Kylie. I’m glad that the review was useful to you. It’s the first one that I’ve done so it was great to get a positive response. You mention that you are new to pastels. I can almost guarantee that you will end up loving them. I’d love to see some of your work when you get your supplies and start playing with them. great to get someones feedback, I am looking into getting some pastel paper for my coloured pencil art but not sure what to buy this smooth or the pastelmat which I’ve used and like. Sadly I have found my favourite Fabriano Artisico is no longer the same formula and just doesn’t take the layers it used too let alone erase so well. So any feed back would be great. Also they don’t say what the colours are in their 10 pks which is stupid…. I’m glad that you found the review useful. I haven’t personally used this paper for coloured pencil work as I use primarily pastels and acrylics. My suggestion would be to give the paper a go and how you like it. I will email you the Art Spectrum surface catalogue which will show you surfaces and the colours that are currently available. It shows which colours are included in the warm and cool 10 packs. Thanks for taking the time to comment on the review. Will the Colourfix smooth be perfect for graphite pencils for layering? Will any of the tooth show up on the drawing? Thanks so much for your question. I use this paper for pastel work and as such can’t really advise you on the suitability of it for graphite pencils. Having said that, the tooth on this paper is very fine and holds multiple layers well. My suggestion would be to give it a try and see if it suits your technique. As mentioned in the review they also have a Colourfix Smooth primer that can be painted onto pretty much any surface. This can be diluted to make it an even smoother surface if that is what you are looking for. Hi, while researching Colourfix Smooth, I came upon your review. I ordered the smooth paper without realizing that it was “smooth” until after I placed the order. I am trying to decide whether to exchange it for the original because I am used to doing soft pastel paintings on Uart 400. But after your rave reviews of the “smooth” version, I’m thinking that I may just keep it. But I am still very curious about the original fine tooth. Anything you can add to help me decide would be much appreciated! Thanks so much. I’m glad that you enjoyed the review on the Art Spectrum Colourfix Smooth paper. I have never used the UART papers but I note from their website that they come in seven different grades (240-800). You mention that you are currently using the 400 grade which seems to be a medium sort of texture. I don’t know how that would directly compare with the Art Spectrum papers. You would be able to feel both surfaces and gauge the difference. In my estimation the Colourfix Fine (original) would have at least twice the texture of the Colourfix Smooth, possibly more. What I can say is that for the way that I work and the effect that I’m trying to achieve the smooth texture really suits me. I found that the texture of the original paper was too much like painting on sandpaper for me. It was hard to blend the pastels and I was not thrilled with the results that I got. So much so that I went back to using Canson Mi-Tientes for years. It was only when Art Spectrum released the smooth texture that I decided to give it a try. Now I am totally converted to it. So it really comes down to personal preference. It’s a bit like pastels themselves. Some artists love certain brands, others swear by different brands. I hope those observations are of some help.